Low carbon field fence is made from steel rod with a carbon content of approximately 0.10% making it fairly forgiving and easy to work with. Because of its elasticity, it is prone to elongation over time and is not as strong as high tensile wire. 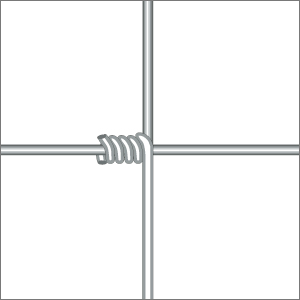 Our low carbon field fence products are available in Commercial, Class 1 and Class 3 galvanized and utilize a woven wire design with a hinge joint knot. Low carbon field fence is available in a variety of sizes and configurations from Bekaert, Redbrand, Rangemaster and Oklahoma Steel.